This will be my second review of an Eighth Tower Records studio album, the first being the latest Sonologyst offering Apocalypse (read the review here). Eighth Tower Records is a sub-label of the Unexplained Sounds Group, both run by Raffaele Pazzella (read our interview here). Eighth Tower focuses more on dark ambient leaning releases, and less on the experimental nature of USG. Their slogan being, “Superspectrum sounds from Ultraterrestrial dimensions.” Paradise Lost is the sixth proper full length release, but there are also a number of compilations (one reviewed here), which contain a combination of exclusive and previously released tracks, each focusing on a specific theme. Hezaliel is a project out of Belgium by Steve Fabry, who is also known for his work in metal projects The Nightstalker and Sercati. His Hezaliel music, in general, could be described as a sort of tasteful horror ambient. Meaning there is darkness abound in this release, but it never pushes that feeling too far, never taking us into the more absurd territory of some other horror ambient albums. Our first encounter with the theme comes in the cover art, which is a beautiful 1866 engraving done by Paul Gustave Doré for John Milton‘s epic poem Paradise Lost, which was first published in 1667. The poem, and so too the album, focus on the biblical story of the fall of man, namely Satan’s deceit of Adam and Eve, resulting in the end of paradise. So, while I’ve stated that this is a sort of horror ambient album, the themes are of a religious nature. But, with a theme such as the fall of paradise the religious and horrifying can come together quite easily. The first half of the album focuses on Satan and the other rebel fallen angels, in their underworld. Thus the music is given liberty to be incredibly dark, as the soundscapes are basically recreating hell itself. Though, within this darkness there are moments of almost a dark bliss, such as on “Fallen Angels in a Distant Earth”, which includes what sounds to be field recordings of crashing waves, as if we are following the fallen angels on a walk along a prehistoric coastline. The second half takes on more an air of sadness and regret. There are more likely to be fleeting melodies emerging from the background. The dense soundscapes give way to more peaceful qualities, as the storyline is generally pulling us toward a sad conclusion, which will play out over following millennia. Hezaliel has crafted an album, in Paradise Lost, which is first and foremost an enjoyable listen. It has that perfect balance of active and passive qualities, giving it a higher level of replayability over an extended period of time. His techniques seem to have improved since his debut, In The World of the Anesthetist which came out on Kalpamantra in early 2017. Following the narrative of a tried and true classic, like Paradise Lost by John Milton, gives Hezaliel room to build a story with more details that are able to be understood immediately by the average listener. Paradise Lost is one of my favorite yet on Eighth Tower Records. 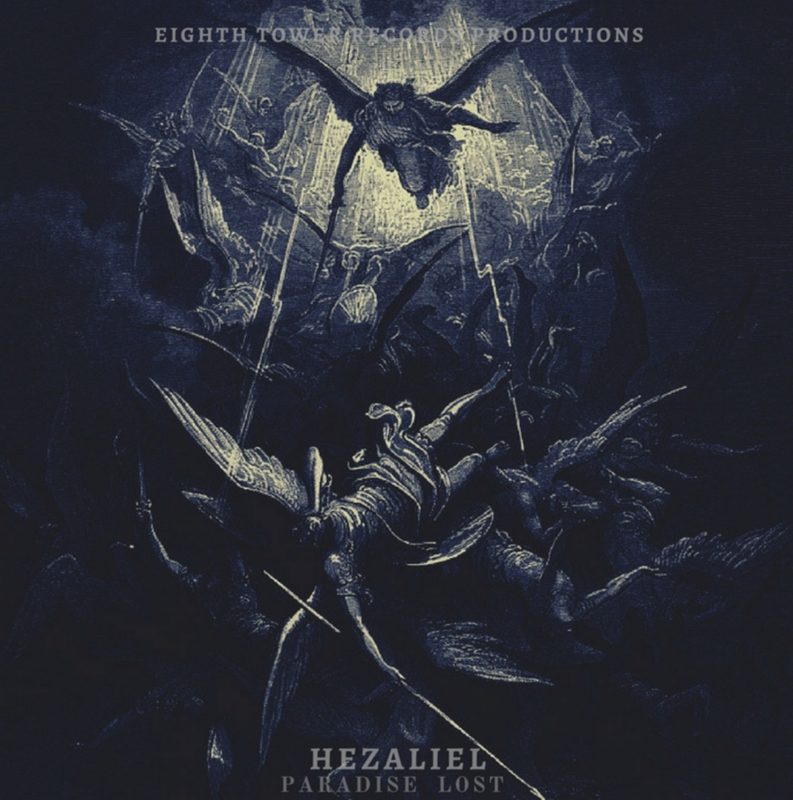 Hezaliel has shown that he is up to the task of creating dark ambient albums with depth and detail. The theme for this one seemed quite appropriate for a dark ambient album, and it also fit very nicely with the general aesthetic of Eighth Tower Records, keeping that focus on the “ultra-terrestrial” intact. 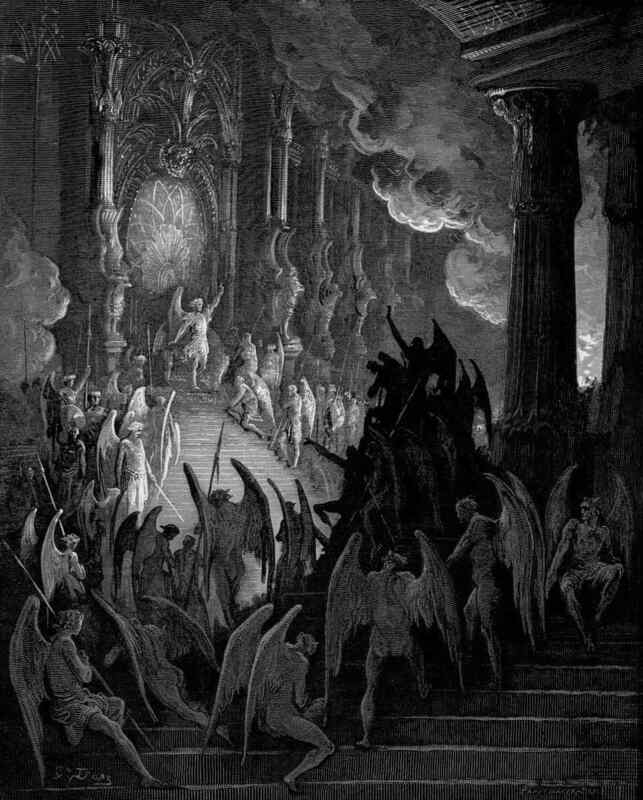 I would recommend Paradise Lost to those that prefer there dark ambient to be a bit more active, but never abrupt or jarring. It makes for a nice reading companion, but it is also able to keep your attention during isolated listening sessions in a dark room with headphones. With a heavy focus on theme and an ability to show reservation when creating such dark soundscapes, Hezaliel will certainly be an artist to watch over the coming years.